The Allied Vision Alvium Camera Series is an innovative camera platform that addresses the limitations associated with current camera modules for embedded applications and offers system designers a previously unknown level of freedom. Powered by the revolutionary ALVIUM Technology, an Application-Specific Integrated Circuit (ASIC) with integrated image signal processor (ISP) and image processing library (IPL), the camera series delivers industrial performance to embedded vision. With a large selection of current sensors, intelligent power management and cost-optimized design, the new camera series combines the advantages of classic machine vision cameras with the advantages of embedded sensor modules. The Alvium 1500 Series is the perfect camera to provide easy hardware and software integration for embedded applications. All models come with a MIPI CSI-2 interface which is the most popular interface for embedded vision application development. The Alvium 1500 provides a basic feature set. The software integration can be realized via Video4Linux2 or Direct Register Access for a simple integration of the camera to the software environment of the embedded system. The configuration of image pre-processing functionalities can be performed directly on the Image Signal Processor in the camera. Depending on the demand of the embedded designers, a Direct Register Access is available to get the full control of the camera.. Following both MIPI CSI-2 and USB3 Vision standards, the 1800 Series can be used for either industrial embedded vision or machine vision applications. With an advanced feature set for image correction and optimization, the camera series combines the advantages of classic machine vision cameras with the advantages of embedded sensor modules. It opens up new ways for users to switch from PC-based image processing applications to embedded systems. Designers can choose out of more image pre-processing and advanced image processing functionalities for their embedded vision application, which can be operated directly on the camera. In addition to Video4Linux2 (V4L2) and Direct Register Access the camera control is feasible via the Machine Vision Standard GenICam, providing access to the world of Industrial Machine Vision for embedded vision designers. 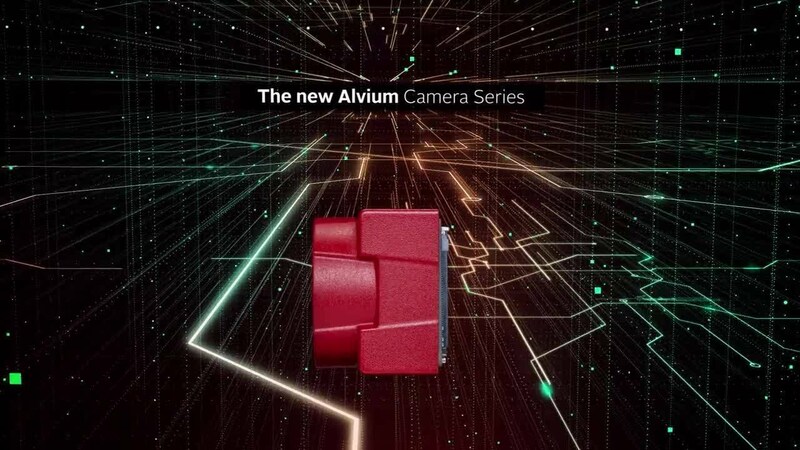 The ALVIUM supports all common sensor interfaces and is designed for a wide selection of current and future image sensors with resolutions from VGA to 21 megapixels. A single driver covers all sensor variants of the camera series. With minimal development effort, different cameras with different sensors can be tested, different resolution variants of a system can be developed, or existing systems can be converted to new sensors. This not only saves developers time, but also significantly reduces their development costs. In close partnerships, Allied Vision develops and provides driver support for a range of SoCs, such as NXP i.MX 6/8-based and the Nvidia Jetson systems. The launch of the Alvium series will initially support the NXP i.MX6 and Nvidia Jetson platforms. Later, support will be extended to i.MX8 and i.MX8M. Allied Vision will be one of the first camera manufacturers in the world to offer a camera driver for the new Nvidia Jetson AGX Xavier, thanks to a partnership with Antmicro, a Polish embedded technology specialist. For over 25 years, Allied Vision has been helping people to reach their imaging goals. Allied Vision supplies camera technology and image capture solutions for applications as diverse as industrial inspection, scientific and medical imaging, traffic monitoring or sports and entertainment. By focusing on what counts for each customer, Allied Vision finds solutions for every application, a practice which has made Allied Vision one of the leading camera manufacturers worldwide in the machine vision market. Our engineers design a wide range of digital cameras with a large scope of resolutions, frame rates, bandwidths, interfaces, spectral sensitivities, sensor technologies, and technical platforms. We have created a modular concept to ensure that your camera adapts to requirements of your application and not the other way around. Allied Vision is at your side throughout the life cycle of your image-processing project. We know how to help you find the best camera solution for your application. That includes a digital camera, but also the right lens, the right connectivity hardware and the right software interface. Our job is to reliably deliver the image you need, when you need it and how you need it. To deliver the precision and reliability our customers need, we manufacture our products according to the highest quality standards in state-of-the-art clean room facilities. All our manufacturing sites are ISO 9001 certified and comply with the ISO 13485 quality standard for medical devices. Our three-year warranty reflects our commitment to quality. Allied Vision’s worldwide sales and support network allows us to deliver first-class service before, during and after your purchase. We have offices and sales representatives in Germany, the UK, France, the USA, Singapore, and China and have teamed up with selected distribution partners in more than 40 countries to ensure we are always there to help you whenever you need us.